Born in 1934 in Accra, Ghana, Professor Ablade Glover graduated from the University of Science and Technology of Kumasi, Ghana. He appears in the “Who’s Who in the World”, the “International Dictionary of Contemporary Artists” and the “Who’s Who in Art and Antiques.” He is one of Ghana’s best—known artists, having accumulated an impressive number of awards for his dedication and enthusiasm for education, both nationally and internationally. 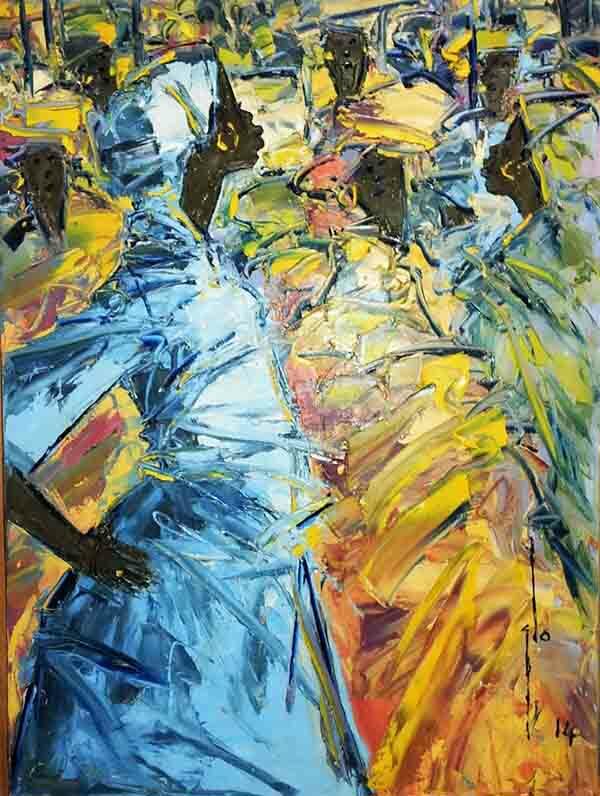 Until 1994, he was Associate Professor, Head of Department and Dean of the School of Fine Arts at the University of Science and Technology in Kumasi, Ghana and received the FLAGSTAR Award, the highest Ghanaian distinction in the field of art. The work of Professor Glover can be found in such diverse public and private collections around the world as the Imperial Palace Collection of Japan, the UNESCO Headquarters in Paris and Chicago’s O’Hare International Airport amongst others. He has exhibited extensively in West Africa, Europe, the USA and Japan. 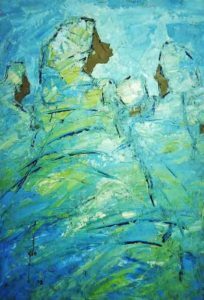 A recipient of the distinguished AFGRAD Alumni Award by the African—Americam Institute in New York, he is also a Life Fellow of the Royal Society of Art in London. 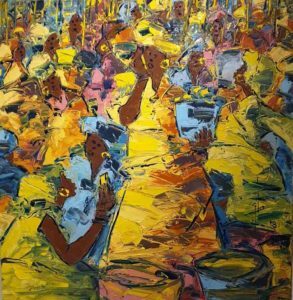 Unsurprisingly, his oils on canvas treat of African mothers, his own in particular, alone or in groups, to which he gives an appearance full of grandeur and nobility. 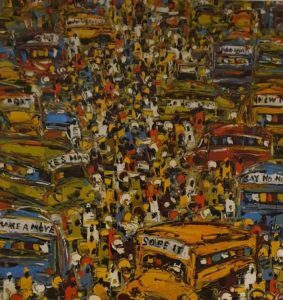 They are the ones portrayed in the market scenes, which in the eyes of the painter are the link between the village and the city, the past and the present of African towns. Professor Glover’s compositions seem abstract at ﬁrst glance, but they reveal very realistic at a distance, teeming with life and warm colors. His technique and his way of impressing thick—layer painting With knife touches evokes the classical style. 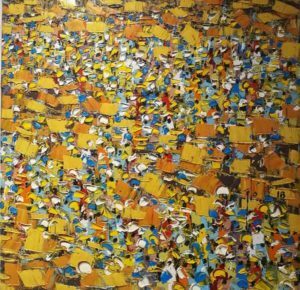 Using the warm tones of his country he portrays vibrant scenes of Ghanaian life, crowds moving in the markets, simple landscapes or flamboyant trees imposing in their red dress.